I open with how the culinary skills and abilities of junior high students coming into our school has been waning for the last ten years. We discuss how many of these students aren’t allowed in the kitchen to cook or experiment with food preparation even if the desire is there, others simply can’t be bothered because “convenience” is easier and has become a way of life, and lastly, while many may want to learn, they have no role models in their lives that can or will teach them as their parents and even grandparents just don’t cook! It truly is sad and there will be repercussions as a result or the cycle will continue! 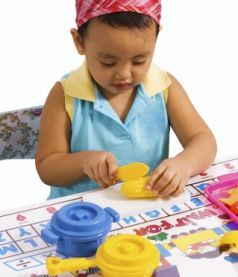 So…ask students: Should young toddler and preschool aged children be helping out in the kitchen? Discuss why or why not. Show a clip from YouTube of Cooking with Kyler. She is adorable and has many skills already under her belt for all the older she is! Ask students what they think? Should young children be helping out in the kitchen? The answer is…Absolutely! Ask students to research 5 reasons why young children helping out in the kitchen is important and beneficial and complete the assigned chart. Here are some helpful resources if you need them for guiding learning support students. Discuss the results and view this YouTube video “Cook with Your Kids“. Place a variety of children’s books on display and ask students what they have in common? The obvious answer is that they are children’s books but the other characteristic they share is that they all reference food in some way throughout the story. Think about this…if we take a children’s book about food and pair it with a recipe they could create with adult help/supervision, we have a WIN-WIN! Not only are we encouraging them to read and practice their literacy skills, but we are getting them excited about food and cooking as well! Your goal is to choose (or write if you have a gifted student) a children’s book about food and connect it to “5 talking points” about the referenced food as well as a child-friendly recipe that they could easily help make. (Talking points provide opportunities to teach the child more about the food being made and help promote communication skills during the experience.) The recipe should use common ingredients and utilize simple, basic kitchen skills. Remember we want them to be able to help and contribute to the preparation of the food. Students will randomly choose a book and sign up with the teacher. Go over the guide sheet and see the sample in the attachments below. Students will share their book and recipe selections with the class (recipes must be doable from start to finish in 43 minutes). The class will form lab groups and choose 1 recipe per group to make and evaluate for “child friendliness”. Evaluation points include: ease of recipe, skills learned/practiced, taste, healthfulness.